Sensible Foods – 100% All Natural Crunch Dried® Fruit & Vegitables. Light & crunchy bites of 100% real fruits & vegetables- and Nothing Else®. All of our fruit & vegetables are handpicked at the peak of ripeness and incredibly flavorful in taste. 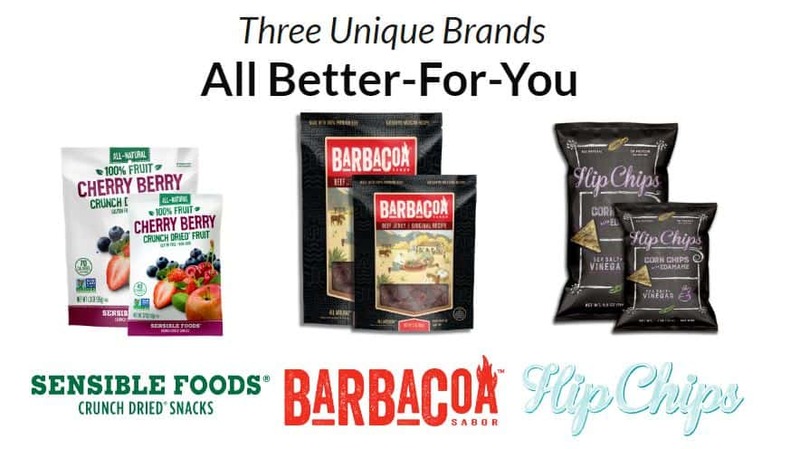 Barbacoa – 100% Premium Jerky inspired by Authentic Mexican Recipe. Marinated with the perfect blend of exotic spices and tastes of Mexico to create moist, succulent jerky simiar to the flavors of traditional Barbacoa Artisanal crafted. Small Batch Process.